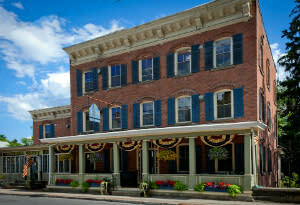 The 1850 House Inn & Tavern provides a unique travel experience, allowing guests to go back in time to the historic downtown Rosendale of the 1800’s, while enjoying the contemporary comfort and convenience of this lovingly restored Inn. Featuring a mixture of vintage decor and modern furnishings there are 11 stylish guest rooms, which include a spacious two-bedroom suite, all with Wi-Fi and flat-screen TVs, as well as private bathrooms. 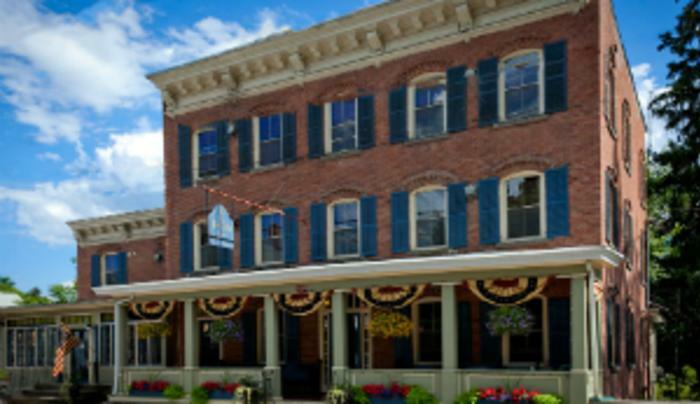 Located just 90 miles from New York City and nestled in the Hudson Valley between the Shawangunk and Catskill Mountains, The 1850 House Inn and Tavern is easily accessible by car, train or bus. It is at the center of the region’s historic sites, arts, music, dance and nature. The Inn overlooks the Rondout and is just a few minute walk from the Wallkill Valley Rail Trail and is just a few miles from Minnewaska and Mohonk Preserve.